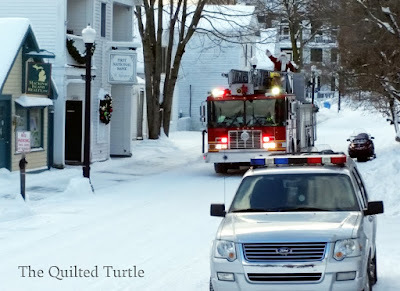 The Quilted Turtle: Ho Ho Ho! Did you know that when Santa visits Mackinac Island (other than on Christmas Eve) he travels by fire truck? You see, Mackinac Island is the perfect place for those hard-working reindeer to take a little break. 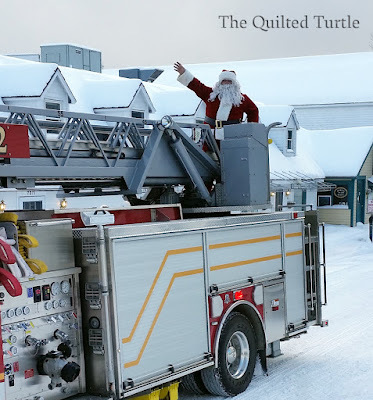 They hang out and get pampered at the barn for a while while Santa visits with the Island kids.